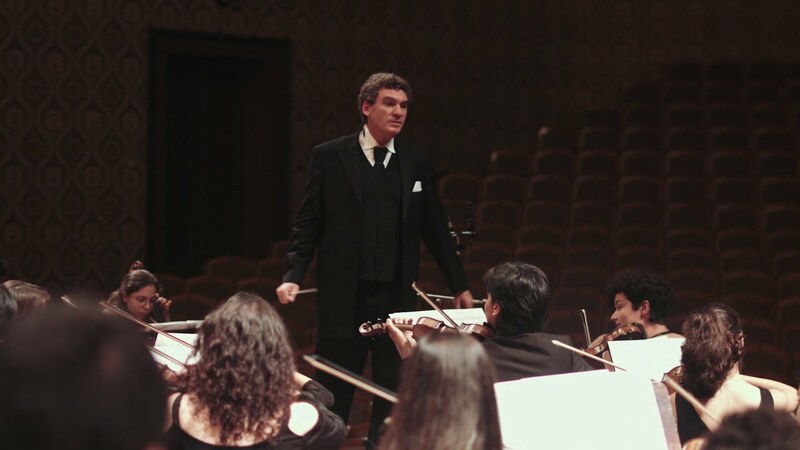 After studying with Leonard Bernstein at the LA Philharmonic Institute, Turkish conductor Cem Mansur has gone on to work with major orchestras and opera houses across the world (such as Helsinki Philharmonic, Britten Sinfonia, and the Mariinsky Theatre), collaborating with artists such as Natalia Gutman, Stephen Kovacevich, Christian Lindberg, Midori, Shlomo Mintz and Murray Perahia. Widely recognised for his extensive repertoire and the creativity of his programming, he enjoys a strong relationship with Arvo Pärt: he gave the European premiere of Arvo Pärt’s Symphony No.4, and the world premiere of Pärt’s Veni Creator. Passionate about music education, Mansur is the Music Director and Founder of the Turkish National Youth Philharmonic Orchestra. Under Mansur’s leadership the orchestra has grown steadily in international profile and esteem, with performances at such prestigious venues as the Vienna Konzerthaus, Konzerthaus Berlin, BOZAR, Beethovenfest Bonn and the Ravello Festival. Cem Mansur is a Turkish conductor. Educated in London at the Guildhall School of Music & Drama where he received the prestigious Ricordi Conducting Prize, he then went on to study at the Los Angeles Philharmonic Institute with Leonard Bernstein. Fluent in Turkish, English, French, German and Italian, Mansur works regularly with major orchestras and opera houses across the world. He commands a particularly strong profile in Russia, enjoying frequent guest engagements with the Mariinsky Theatre at the personal invitation of Valery Gergiev, and conducting the company’s inaugural performance of Puccini’s Madame Butterfly. Other operatic highlights include his Music Directorship of the Istanbul State Opera. Mansur’s symphonic career has included guest engagements with the Helsinki Philharmonic Orchestra, Britten Sinfonia, Royal Philharmonic Orchestra, English Chamber Orchestra, and the London Mozart Players. He has collaborated with many distinguished soloists, including Dmitri Alexeev, Galina Gorchakova, Natalia Gutman, Håkan Hardenberger, Stephen Kovacevich, Christian Lindberg, Antonio Meneses, Midori, Shlomo Mintz, Alice Sara Ott, János Starker, and Murray Perahia. Recognised for the creativity of his programming, Mansur’s repertoire is extensive and includes many unusual and lesser known works. 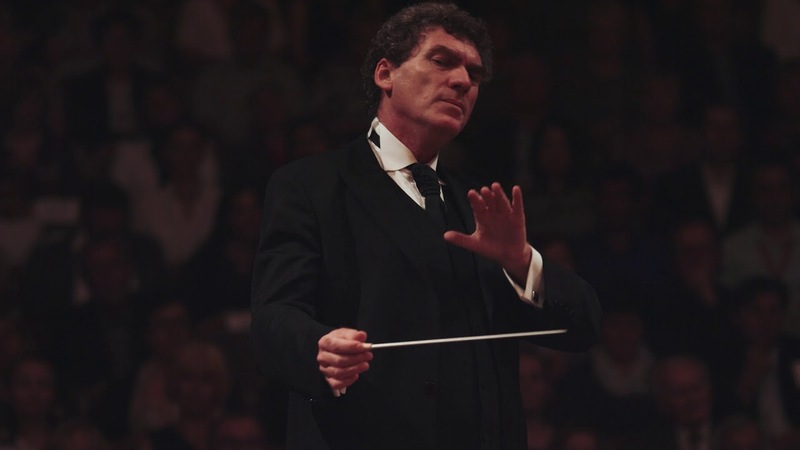 He conducted the premiere of Elgar’s unfinished opera The Spanish Lady in London, and Offenbach’s opera Whittington received its first performance since its nineteenth-century premiere under Mansur’s baton at the City of London Festival in 2000. Cem Mansur also conducted the European premiere of Arvo Pärt’s Symphony No.4 with the Helsinki Philharmonic Orchestra, and following this went on to give the world premiere of Pärt’s Veni Creator. 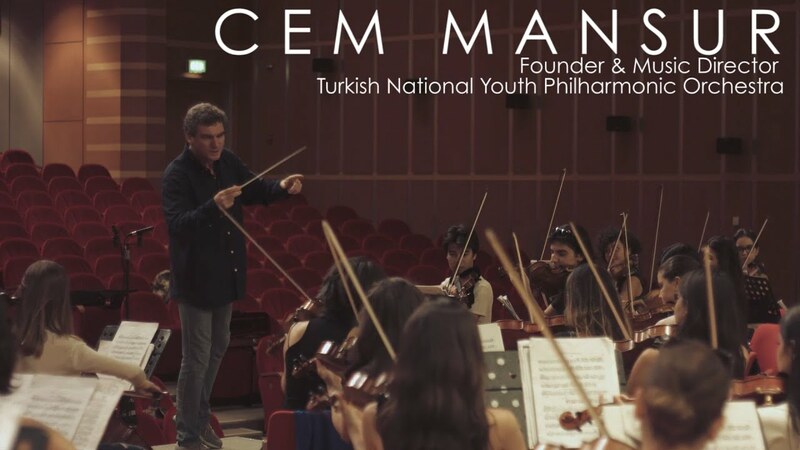 Passionate about the importance of high quality music education, Mansur is the Music Director and Founder of the Turkish National Youth Philharmonic Orchestra. Formed in 2007, the 100 members – aged between 16 and 22 – are chosen by audition from Turkey’s conservatoires. Under Mansur’s leadership the orchestra has grown steadily in international profile and esteem, with performances at such prestigious venues as the Vienna Konzerthaus, Konzerthaus Berlin, Sala Santa Cecilia, Brucknerhaus Linz, BOZAR, Beethovenfest Bonn and the Ravello Festival. 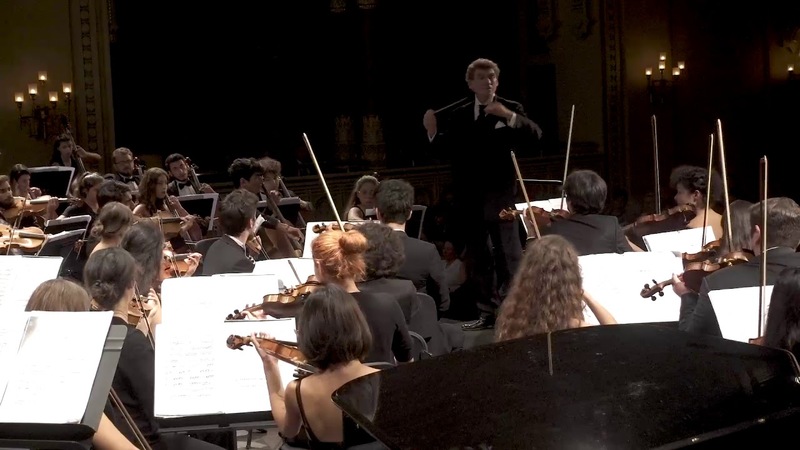 Recent and forthcoming highlights include performances at Konzerthaus Berin and the Prague Rudolfinum, as part of an eight-concert tour of Europe with the Turkish National Youth Philharmonic Orchestra. During the 2017/2018 season, Mansur will tour Europe again with his orchestra, joined by Andreas Ottensamer (Principal Clarinettist of the Berlin Philharmonic Orchestra), in a programme dedicated to celebrating the centenary of Mansur’s teacher, Leonard Bernstein. An assiduous reading by Cem Mansur and the Royal Philharmonic had that feeling for tempo and nuance that lets the music do the work. Conducting without a score, Cem Mansur shaped a headily dramatic reading which had the orchestra at full stretch...The energy and attack were exhilarating, the tempo brisk, his feel for the conversational cut of the vocal line exemplary. Mansur has the measure of Tchaikovsky's style... He always left room for expressivity while textures were finely judged to enhance the composer's inspired orchestration. Cem Mansur is a talent to watch. The excellent Cem Mansur conducted a brisk, buoyant reading notable for well-integrated textures and stylish phrasing. There was ebullience a-plenty but always the sense of a darker emotional ground-swell. With his highly skilled and nuanced direction, Mansur draws out a widely colourful and varied soundscape…perfectly capturing Don Juan’s wide-ranging sonic palette and ever-changing colours. […] La Forza del Destino has never before come across as sharply, or more poignant and powerful, with full dramatic weight and intense lyricism under Mansur’s baton. - Ieri, Oggi, Domani, Opera!